CANIS MAJOR the Big Dog is a well-known constellation having the brightest star in the night sky, Sirius. Sirius is ranked at apparent magnitude -1.46. There is a remarkable open star cluster known as M41. 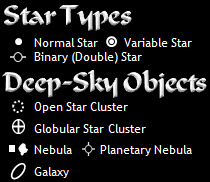 There are 4 bordering constellations: Columba, Lepus, Monoceros, and Puppis. 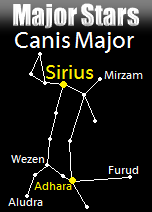 Canis Major is also near the more-famous Orion constellation.